Place your SKBOWE order using the form below. Instructions: Select your batch options (see available quantities) then click the “Buy Now” button. Note the Quantity Available is NOT live updating (I have to do it manually) but PayPal maintains an accurate inventory and will not let you buy if I’m out of stock. If you click “Buy it Now” and PayPal says your batch is sold out, you’ll need to order from the next batch. Batch 1 ( 0 of 26 Available): SOLD OUT. Batch 2 ( 0 of 24 Available): SOLD OUT. Batch 3 ( 0 of 25 Available): SOLD OUT. Batch 4 ( 0 of 15 Available): SOLD OUT. Batch 5 ( 0 of 10 Available ): SOLD OUT. Sorry, all 100 SKBOWEv2 units have been sold, and I do not have plans to produce more at this time. You may contact me if you are interested in a notification if they become available again. The form above should now work based on your shipping address. If you have trouble, please contact me and I’ll be glad to help. Sorry, I won’t ship surface because I’ve seen too many packages get lost that way, and it’s really not much cheaper ($5 max) for up to 3x the delivery time. The actual purchase price of the SKBOWE is declared on the customs form. No, I will not change the declared value because this is illegal (and very easy to catch, since PayPal accepts the transaction and prints the shipping!). Depending on your country, you may have to pay VAT, import duty, handling fees, etc. I am not an expert on the taxes/tariffs/duties outside the US, you should calculate it before you order – customs holds your package hostage until you pay up! I have had a wide range of feedback of how much this actually is, it is difficult to predict based on that data because exchange rates vary. If there is an overall trend, it is between 20%-40% of the declared value, depending on country. After following the installation and troubleshooting instructions, if you are having issues setting up your SKBOWE please contact me, I will be glad to help. 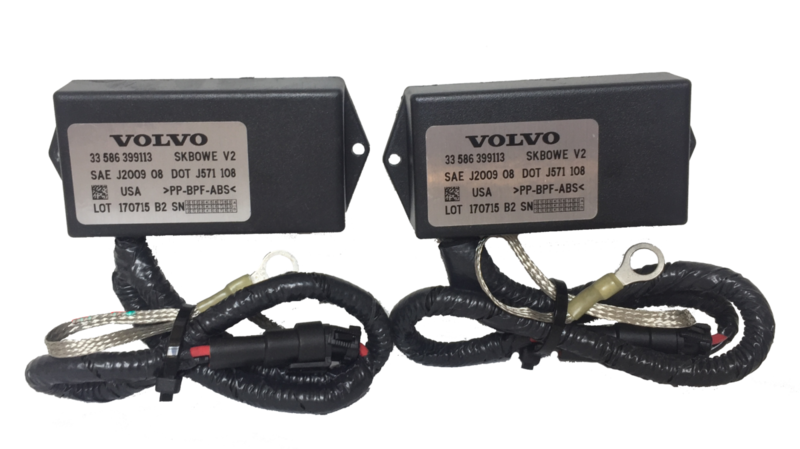 There may be an “open box” unit available from time-to-time; these have been assigned serial numbers, but are in like-new condition from returns. For example, I have one (as of 11/30/17) from an order that went to a indy shop who had a customer with aftermarket HIDs – after ordering, they were forced to go back to halogens when the HIDs would not pass their state inspection. All open box units are re-tested before resale and have the 30-day return policy and lifetime guarantee. It is too much to update a quantity on this page for this rare case – please use the PayPal “Buy it Now” button to check for available inventory. If there aren’t any, you’ll just see an error. If you see the payment/login screen, then I have one to ship, though it’s not guaranteed to be yours until you complete the checkout process! If you get a payment confirmation with this selection, you will be shipped a SKBOWE immediately.